Baidu (百度), the search engine giant in China, has pulled even farther ahead of Google (谷歌) in their battle for user preference. According to market research firm Analysys International, Baidu gained in market share in the third quarter of this year and now gets almost 80% of all search traffic in China, compared to about 18% for Google. The extra traffic is also helping Baidu’s bottom line. 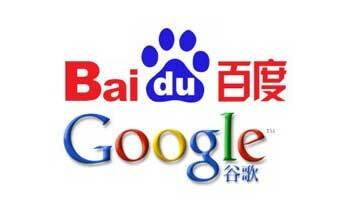 In the third quarter, Baidu’s profits rose 80%, while Google’s only rose 12%. Baidu’s annual net income came in at 1.88 billion yuan ($296 million), reports Bloomberg. Google still leads other Chinese search engines, such as the one run by the Chinese company Tencent (腾讯). But it appears Google is not really a major competitor for Baidu at present. Google was forced to shut off their servers in mainland China in 2009 and move searches to Hong Kong. Even though their ICP license was renewed this year, showing the government they are committed to their Google.cn homepage, searches are directed to Hong Kong. Without Virtual Private Networks, or VPNs, Google searches often time out because the connection is bad or there is content that cannot be found within what is considered “legal” in China. In an internet media chatroom, I asked people if they used Baidu or Google. At least two people mentioned the need for VPNs in order to go on Google, so it was no contest. Others specifically preferred Baidu. “For searching in Chinese, I like Baidu. It’s better for Chinese search terms – you get better results,” said Mr. Sun, an ad worker in Beijing. However, for searching in Chinese, Baidu really is a lot smarter than Google and for people who are good at Chinese, they want better Chinese results. For many, it’s easy to look past adverts and censored results. Abusoletly first rate and copper-bottomed, gentlemen! You are actually a excellent webmaster. The site loading pace is incredible. It sort of feels that you’re doing any distinctive trick. Moreover, The contents are masterpiece. you’ve performed a wonderful job on this subject!